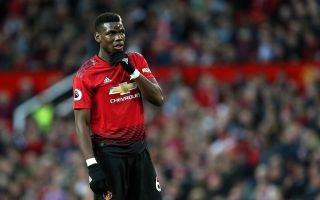 It might not be what Man Utd fans want to hear, but Paul Pogba has gotten all sentimental ahead of his side’s clash with Juventus next week. The Frenchman returns to Turin with the Red Devils for their Champions League clash on Wednesday night, as they look to bounce back from losing the reverse fixture at Old Trafford last week. It will be an emotional time for the 25-year-old though, as he enjoyed an incredible spell with the Serie A giants between 2012 and 2016, making 178 appearances for the Bianconeri while winning four league titles and two Coppa Italia trophies. In turn, it will naturally always hold a special place in his heart, but whether or not United fans are going to react so kindly to his comments below is up for debate as many would like to think he now regards his current club as his home given that’s where it started previously. “For me, it’s a pleasure. Turin is my home — that’s where I scored my first professional goal,” he is quoted as saying by ESPN when discussing his return to face Juventus. As noted by The Express, transfer speculation continues to suggest that the Frenchman could return to Juventus, but ultimately that’s difficult to see given his importance to United currently. Nevertheless, after openly discussing his unhappiness at the start of the season, as per The Guardian, it has raised question marks over his future at United and given his comments above about how fondly he thinks of Turin, a return could be something that he would welcome in the future.